Frederick Aloysius Newnham was the brother of William Patrick Newnham who also served as an alderman on Newtown Municipal Council. Their sister, Eileen Newnham acted as Frederick’s Mayoress in 1933, and their mother as Mayoress in 1936. Frederick Newnham died on 12 April 1998. 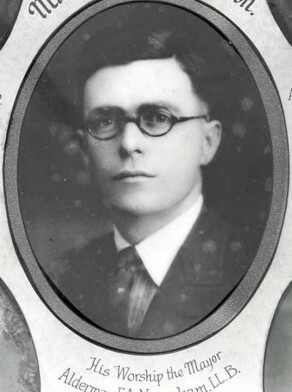 Frederick Aloysius Newnham was an alderman on Newtown Council in 1932-37 and 1941-43, representing Enmore Ward. He was mayor in 1933 and 1936.